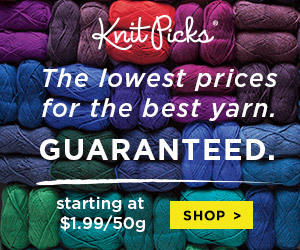 Have you ever knit with Linen yarn? Hand knitting with linen can be a challenge. At first, the yarn feels stiff and not something you would want to wear … BUT … if you’ve ever owned a linen sweater, you know that it just gets softer and more beautiful with washing and wearing. Have you heard that before? The hems on today’s fashions are straight and “unfinished”. If there is ribbing, it is loose and blocked out. Keri recently asked during a Live Q&A session…. You don’t need to use yarn on cones for machine knitting ….. but it is easier! Less ends to work in and often coned yarn is waxed (or treated) to pass more easily through the knitting machine. We recommend beginning knitters start with yarn on cones. It saves you time in re-winding or dealing with difficult yarns in balls. The like many of the Basics, the Freesia Blueprint instructions start AFTER your choice of hem, ribbing or cast on method. The Knit it Now Dynamic “Basic Blueprints” give you all the math you need to create sweaters in ANY yarn, ANY Gauge, with ANY machine and ANY Stitch Pattern! Unlike traditional patterns the Blueprints don’t tell you what cast on or bind off methods to use. Want add hand manipulation? It’s your “Adventure”! Want ribbing … go for it! Maybe a pretty picot hem is what’s needed. Your sweaters, knit the way you want them! After yet another recent move, I’m determined to set up my knitting room and get ORGANIZED! The back and front of our sweaters don’t have to match! If we are knitting to cover a body shape that isn’t perfect … we may need to add BOTH LENGTH AND WIDTH to the front only. New knitter Maryanne was frustrated with “scrap off and rehang”. It’s important for new knitters to understand this concept, it’s used quite often in machine knitting. Scrapping off your work before starting a new section or just to preserve a section of your knitting is worth the extra effort. If (when) mistakes happen give yourself the gift of being able to rip back to your lifeline and not have to start again. The BEST way to modify the upper arm size of sleeves in DesignaKnit.